​Suffering from insomnia is a widespread and greatly misunderstood affliction. Insomnia is generally a response to other aspects of life. Perhaps it’s anxiety and/or stress related, or a result of depression. In either case there are a number of simple things that you can do to help – before you even think about going to bed. Hypnotherapy offers motivation to do the things that will help overcome insomnia – or you can address the issue head on with hypnosis. Either approach can work well. There are a couple of things you can do right away that will help. The first and most obvious is to step-up your exercise, even if it is only a little. Getting a bit of a walk in at lunchtime, or getting out to swim once a week will help. If you are already doing exercise, adding a previously unfamiliar additional element is a good idea. Already spending time in the gym? Try doing a session of yoga. If you are a keen runner, try a session in the pool as well. ​The second simple solution that has been known to solve insomnia issues, is cleaning up your diet. If junk food is in the equation, dump it fast. If you are skipping breakfast, chances are that dinner is too large – piling all that energy in at the end of the day is a recipe for weight gain and health issues. Three well balanced meals a day is the best way to maintain good health. In your twenties you may get away with poor discipline in these areas, but by your thirties you’ll be paying for it. Bottom line: Eat well, and eat regularly. Look after your physical self. ​About half an hour before you go to bed have a light snack and a small glass of milk. It’s not for everyone, however an apple or piece of bread and butter may just settle you down and help you feel ready to sleep. This should be a light snack. Avoid "blue light" in the hours before bed. Televisions, tablets and mobile phones are all sources of Blue Light. Studies have shown that exposure to blue light in the evening disrupts your natural sleep cycle. Turn the TV off especially if you have one in the bedroom. Avoid using your phone before bed unless it has a "night-light"mode. ​Instead of playing on your phone, reading a book for a short time ​is an excellent way to wind down before sleep. Go to bed with the expectation of a good nights sleep if possible. 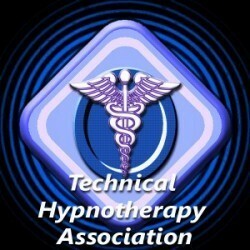 There is no doubt that using a sleep product such as our own self-hypnosis MP3 for sleep will help. ​We have many clients who swear by our MP3's! Practice reducing your heart rate and blood pressure. Visualize your body slowing and relaxing. Picture the release of muscles and the relaxation you desire spreading through your body from your head to your toes. Accept the possibility that you may not be going to sleep for a little while. ​No one ever actually died from the lack of sleep. Your body does require rest. It needs a state of repose and regeneration, so be prepared to lie still and in a calm state for a while. You will survive.